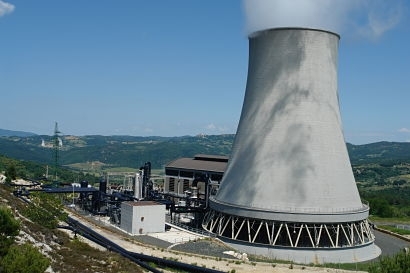 The Italian government, in a draft decree that includes negotiation on new support schemes for renewables, intends to unilaterally cut support to geothermal energy in the country, a vicious attack against an industry that was born in Italy, says the Italian geothermal industry. Geothermal plant at Sasso, Italy. The industry has nearly 1 GWe of baseload renewable electricity installed in the country (producing 6.2 TWh/year), and employs 3,000 direct workers, in addition to around 7,000 indirect and induced local jobs. The Italian government decree is also a baseless attack on climate, according to the International Geothermal Association (IGA) and the European Geothermal Energy Council (EGEC) which are asking the Italian government to withdraw its resolution. IGA and EGEC say that geothermal is a renewable energy source that is key to the Italian energy transition and that the government decree - at a time when the climate impacts are starting to leave heavy marks across Italy – equals to calling for increased use of imported fossil energy. The geothermal energy sector in Italy is a large industry composed of SMEs and large companies, which is highly innovative and is a leading actor in exporting across the world, thanks to a historically strong domestic market. Geothermal energy is widely recognised as a key renewable source for climate change mitigation, and Italy is leading innovation in this sector, with more than 20 million euros of public investment for research, development and innovation on geothermal energy during the last 5 years. “With geothermal Italy has a great renewable resource, that led to the emergence of a cutting-edge Italian geothermal industry, which supports local economic and social development and that now helps other countries to develop their own geothermal sector” said Miklos Antics, President of EGEC, the European Geothermal Energy Council. “It would be an enormous mistake, while everyone is focusing on the energy transition, to take such a step back by cutting support to the geothermal sector. This decision is in direct violation of the principles agreed by all European governments, including Italy, in the recast Renewable Energy Directive, to not make retroactive changes to support schemes for renewable energy sources, and to announce well in advance upcoming changes”. Alexander Richter, President of IGA, the International Geothermal Association, added that by supporting such a retroactive change to support schemes, the Italian government undermines not only the great role that Italy’s geothermal sector has historically played in the development of the sector globally, but also investor certainty and confidence in geothermal energy, in addition to jeopardising Italy’s energy transition.